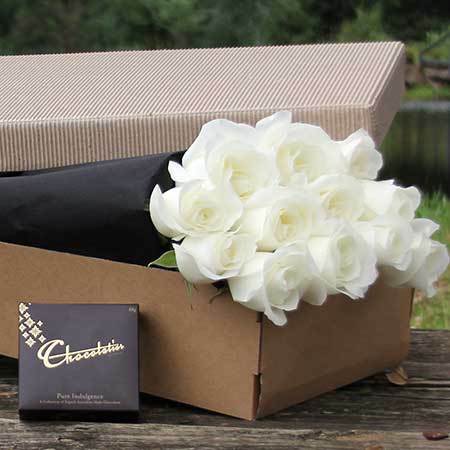 Snowy white long stem roses nestled in our Flowers for Everyone signature gift box are accompanied by a chivalrous box of Chocolatier treats (40g) for an extra sweet touch of romance. 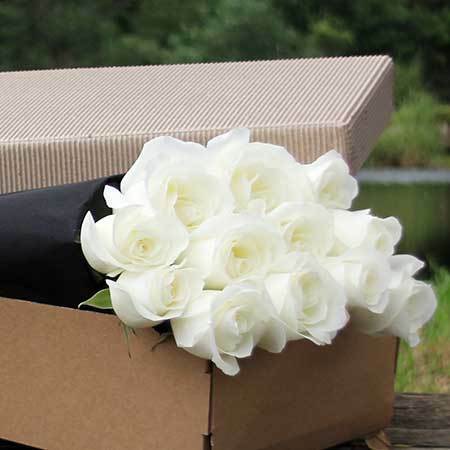 Bring your fairy tale romance to life and send pure love to your sweetheart with a Valentine`s flower delivery of one or two dozen white roses and chocolate. Ordering flowers for Valentine`s Day is easy. Simply place your selection via our online florist shop or call toll free on 1800 66 66 46. 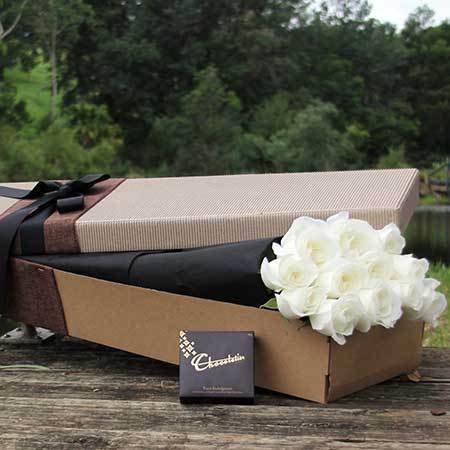 *Please note: The pictured roses, presentation gift box and brand of Chocolate is exclusive to Sydney Valentine`s flower delivery only. 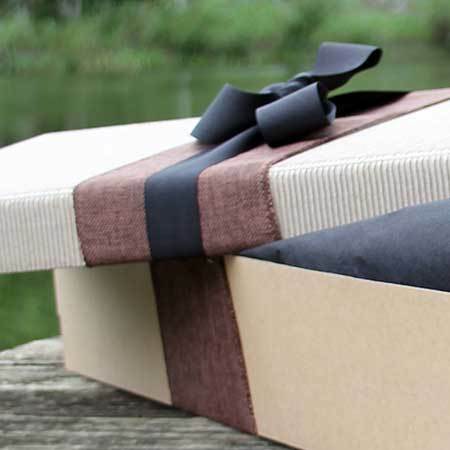 For gifts delivered throughout the rest of Australia, the team will coordinate your order via an affiliate florist network to recreate our style and product as closely as possible. Questions? Give us a call toll free on 1800 66 66 46!